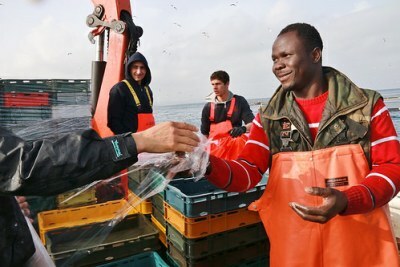 Over 700 statisticians, researchers and policy makers gathered at the first ever International Forum on Migration Statistics held in Paris, France. Among them Oliver Chinganya, director of the Economic Commission for Africa's African Centre for Statistics (ACS), who said the "forum was crucial as it offered space for experts to exchange views on how to improve and innovate existing data collection to better understand global migration trends, drivers and impacts, and to support policy evaluation." Read more. More on the Economic Commisson for Africa in this BRIEFING. 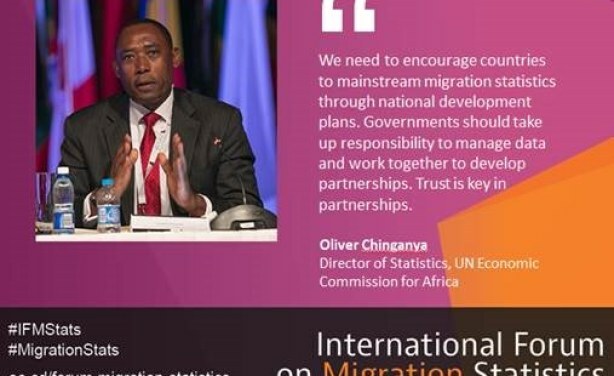 "Government should take up responsibilities to manage data and work together to develop partnerships" for migration statistics" - Oliver Chinganya, director of the Economic Commission for Africa (ECA)'s African Centre for Statistics (ACS) at the first ever International Forum on Migration Statistics forum held in Paris, France.